We understand the importance of customer satisfaction and make it our priority to ensure you have an enjoyable shopping experience. Our dedicated team of customer service professionals are always at hand should you require any assistance during the order process. 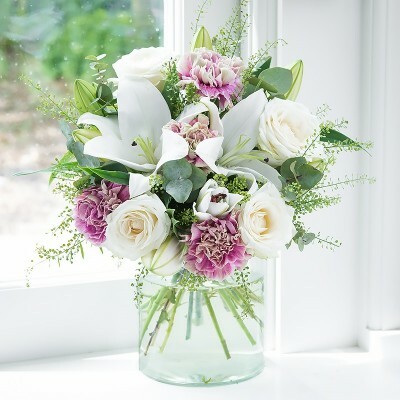 Our small team of experienced florists design and create each of our bouquets especially for you. 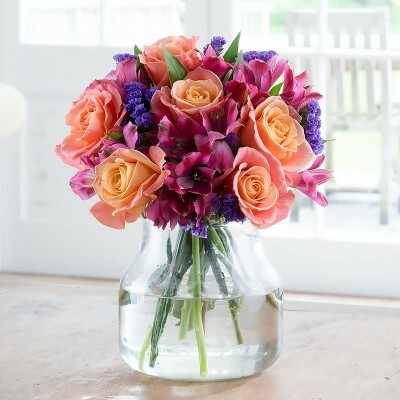 We use the freshest flowers, to guarantee the bouquet will stay fresh for up to 7 days. 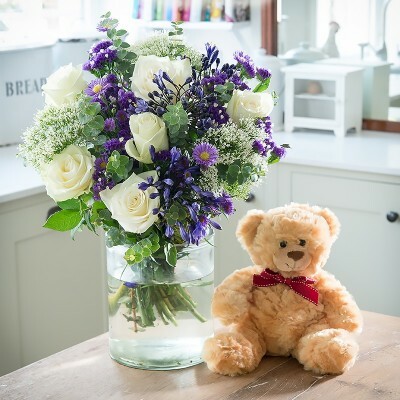 You can also add your very own personalised gift message to all of our bouquets free of charge. 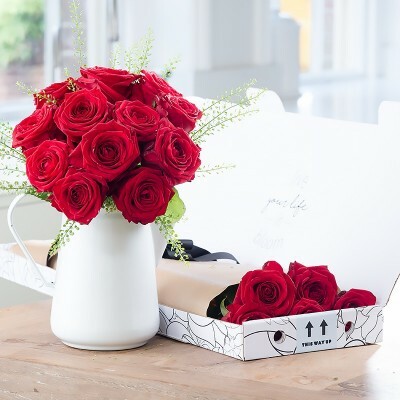 We do not believe in machine made, all of our bouquets are hand-tied at our UK floristry centre with love and care by our team of experienced florists to make the perfect gift you could give. 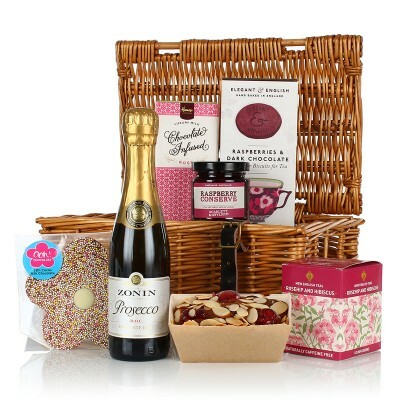 All of our hamper suppliers are UK based, where the majority of products are sourced from within the UK. 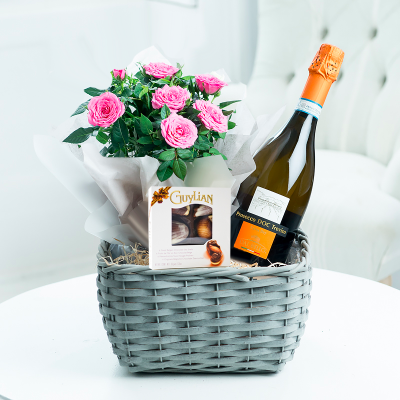 Our hampers are carefully assembled by hand to ensure that they both look attractive and can be transported safely. This is how we ensure a quality gift is received. Please note that hampers containing fresh food can only be delivered Tuesday-Saturday. This is to ensure they are kept cool and fresh during transit, and ensure that produce arrives at it’s best quality. 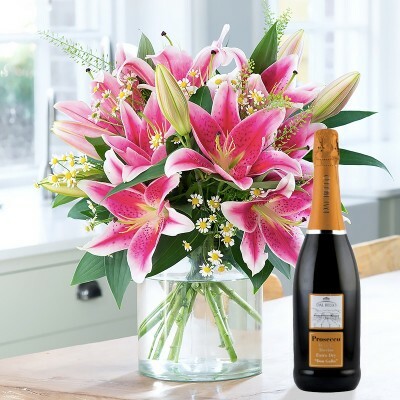 We stock a range of delightful wine gifts for all occasions, including flowers and wine, champagne and sparkling wine and cases of wine. Our spectacular range of gift wines are supplied by Honest Grapes who have toured the world to bring the best wines to the UK. You’ll be spoiled for choice with our range of wine gifts. We have a massive range of personalised gifts, from personalised jewellery to personalised alcohol gifts, so you can send your loved one a unique gift for less. 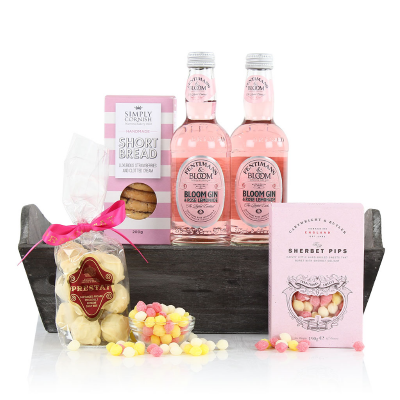 Our range of personalised gifts are made right here in the UK, at three locations. 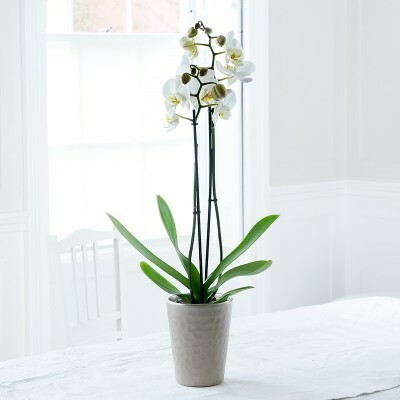 We care about the environment, and that’s why we make sure that all of the paper that is used in our personalised gifts also comes from the UK, and abides by EU timber legislation. We are mindful of our environmental impact and strive to be as respectful to the natural world as possible, after all, our flowers deserve it. When possible we source our flowers from British growers and have designed our packaging to produce as little waste as possible. We do not believe in machine made, all of our bouquets are hand-tied at our UK floristry centre with love and care by our team of experienced florists.As much waste as possible generated by our wine operation is recycled, and we do our part in protecting the rainforest by only using paper from the UK to make our personalised gifts.